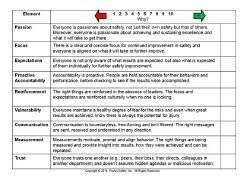 342 - Is Winning or Losing a Safety Culture Habit? Greetings everyone, this podcast recorded while in Auburn Hills, MI. I’d like to share an article I wrote that was published May 2014 in Occupational Health & Safety Magazine. The published article can either be found on the magazine’s website or under Insights at www.ProActSafety.com. It is important to define the desired capabilities of a culture instead of simply the desired characteristics. What a culture “can do” is much more crucial than what it “is like.” That said, some cultures become can-do cultures without internalizing safety as a part of what they can do. Such cultures become “get it done at all costs” cultures. The members of the culture become willing to give their bodies up for the team. They put job completion ahead of all other priorities. The history of a site can be a major influence in developing such a culture. Sites that have experienced multiple downsizing or threats of closing tend to develop work groups that perform for survival. The constant threat of being laid off or having your workplace closed tends to outweigh the threat of personal injury. If managers and supervisors constantly use these threats to motivate or hurry workers, the perception that production trumps safety is constantly reinforced. When companies downsize, reorganize or otherwise disrupt site cultures, they should anticipate and manage the safety aspects of the change. Survival is an economic necessity, but poor safety can impact a site’s viability as much as ineffective or incomplete work. Survival mode should include both surviving the economic challenges and the safety issues. Again, it is not a dichotomy between production and safety, but addressing the need for safe production. Greetings everyone, this podcast recorded while in Gonzales, LA. I’d like to share an article I wrote that was published February 2014 in OH&S Magazine. The published article can either be found on the magazine’s website or under Insights at www.ProActSafety.com. 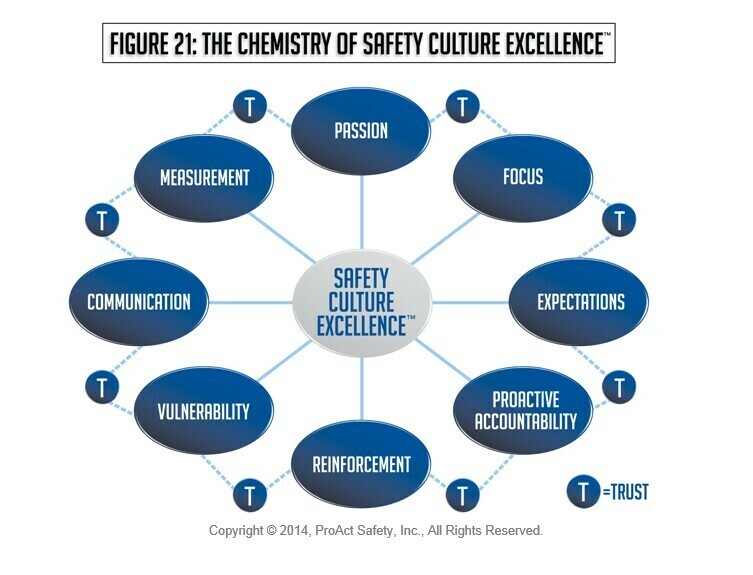 What is Your Safety Culture Good at? I just heard another organizational leader claim that he had good safety programs and a good safety culture and couldn’t figure out why he still had accidents. The two greatest problems with such leaders is already stated: they don’t know why they have accidents and they are satisfied that something is good even when it does not produce results. These leaders are not entirely to blame. They have been told by the “experts” that good safety programs and a good safety culture have certain characteristics. If their programs and safety culture have these characteristics, they must be good ones. The true measure of a safety program or culture is not what it is “like” but “what it can do and does.” If you have too many accidents, your programs and culture are not doing what they should do. If you don’t know why, you can’t lead your organization to better results. This problem is simply an application of the age-old tendency to mistake activity for results. This is why we have both process metrics and results metrics: so we can see if we are working our plan and also see if our plan is working. A culture that wants to prevent accidents is not automatically a culture that knows how to prevent accidents. Work on your culture’s capabilities and not just its characteristics. Me: “Oh yea, okay. So how did y’all do in safety last year?” Him: “Well our rate was …” (It was quite poor). Me: “That’s quite unfortunate, why do you think that is?” Him: “Who knows, probably if our leadership had a better attitude towards it.” Me: “So you are a Superintendent?” Him: “Yea.” Me, with an unfiltered response: “If you believe safety is a bunch of BS, what message do you think that sends to the guys you lead?” His facial expression was the only response I received. Leaders must remember what they believe will influence their decisions and eventually be observable in their behaviors. If the leaders don’t lead with the desirable beliefs and behaviors, don’t expect the followers to follow. His unfortunate attitude (and possibly those of other leaders if he was correct) might not be the only contribution to their poor performance, but it is certainly a good place to start.